The data is from Famitsu. 3DominationS? PS. What the heck is Puzzle & Dragons Z? Seems like it sold pretty darn well for something that I've never heard of. So 3DS or bust basically. Zero, Puzzle and Dragons is a mobile game, that got ported to 3DS. @Guillaume And it sold over a million as a retail release?! That's pretty impressive. 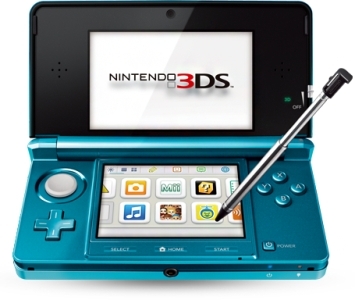 News: 3DS is super popular, especially in Japan. Where are the numbers including games on other systems? I wished the NPDs had that many handheld games in the top 10. This damn region is backwards! Man, what's it going to take to get DQ7 over here! Animal Crossing reached the 4 million mark right at the buzzer! @Jargon @GameDadGrant I think DQ7 has a decent chance and DQX is close to none. With the Nintendo-published Dragon Quest games, it was about a year or a little longer after the Japanese release date that they came out in North America. DQ7 released in February 2013 and DQX in March 2013, so it hasn't been a year for either one yet. I think we may see DQ7 in an upcoming Nintendo Direct within the next few months, and if we don't, I'll officially give up hope. I don't think Nintendo will touch DQX since it's an MMO. DragonQuest X really needs to come out here though. Nintendo would do well to publish it here. It would really help out the Wii U. Would it though? You need a large user base for an MMO or you risk losing money on keeping it operational. Certainly it's not as simple as selling a traditional game. And Dragon Quest just isn't very popular here. @Jargon @GameDadGrant I'm afraid I agree with Jargon here, DQX isn't going to help the Wii U in NA. It's a game that I want but I recognise it isn't popular enough to sell systems. Heck, it didn't do that much for it in Japan. I think the only way Nintendo would publish DQX is if they changed it so that it isn't an MMO anymore and doesn't need dedicated servers to run. They could set it up more like Monster Hunter where you party up with a few other players and don't meet anyone out in the wild. I have no idea how easy or difficult it would be to change the game like this, but I would actually strongly prefer it if they did as I have no interest in the MMO aspect and wouldn't pay a sub fee. If Nintendo were interested in handling an MMO, they'd have already done so by creating a Pokémon one. Oh my god you guys shut up! I don't want to read any logical, thought-out reasons why this game can't (or shouldn't) come to North America! I just want to play it! No excuses! ....I make this post mostly entirely in jest, but I really do want this released in the States. Reasons why not be damned. @GameDadGrant Would you be willing to pay a monthly sub fee for it? Just curious. Much as I want the game, I don't think I'd ever pay to play online. Though a friend of mine might buy me a sub so that we could play together, in which case I'd get the game. I have a bad feeling that only the PC version will be released outside Japan though, and I'll never spend money on a game-quality PC. We'll see a port of DQ8 on PS3 before we see DQX here. I don't think it's going to happen. Personally I'd rather they just make a DQXI on either Wii U/PS3 or PS4/XBO rather than DQX. I don't know how interested I am in a DQ MMO. I paid a monthly fee to play Phantasy Star Online on GameCube back in the day. So....yes, probably? Of course, I was younger and had more free time then. I'm surprised GTAV even made it on the list being a western action/RPG game.